We have some patriotic holidays ahead! 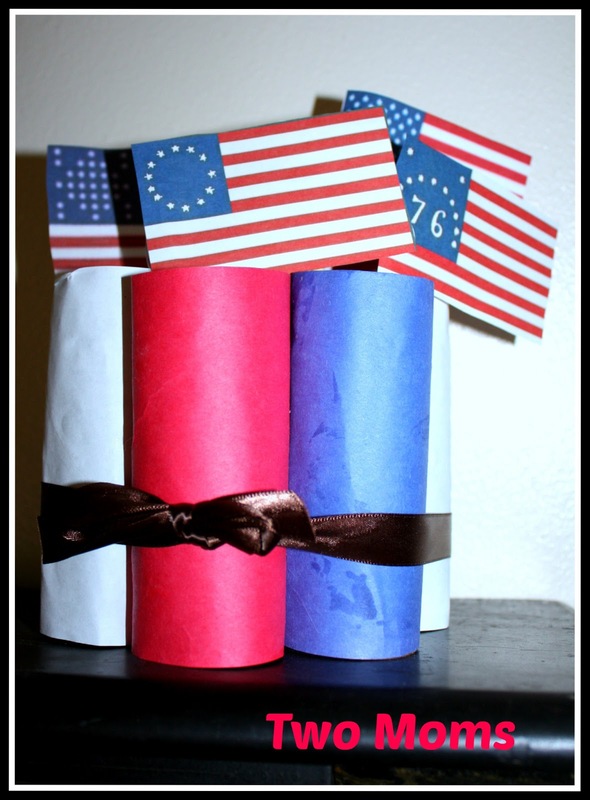 My daughter and I worked on a cute patriotic craft this weekend and managed to incorporate some learning into it. We crafted some adorable firecrackers with historical American flags popping out! We assembled an assortment of seven different flags to add to our display and learned a little about each flag. 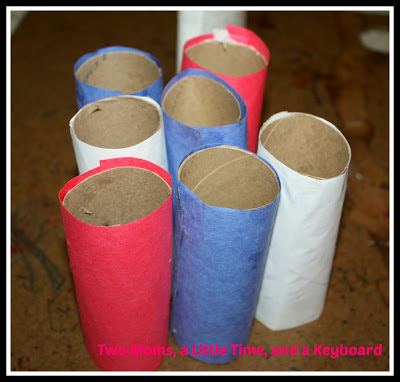 We began by cutting our construction paper to fit around the toilet paper rolls. One toilet paper roll will be in the middle of the creation, so it can be any color. Otherwise, you should have two of each color. Glue the construction paper around the rolls. While letting our "firecrackers" dry, we headed over to USHistory.org to learn about different American flags. USHistory.org is hosted by the Independence Hall Association in Philadelphia and has a comprehensive timeline of American flags. Excellent resource! We read about various flags and chose some special ones to add to our patriotic display. Of course, my daughter had to choose the Betsy Ross flag! We chose 6 unique flags in all. We used today's flag for the center of our display. We printed out our flags and cut them out. 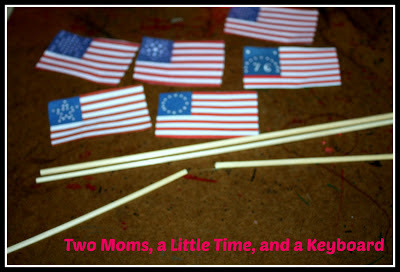 To assemble our flags, we cut some wooden skewers to size and taped the flags on. Very easy! To finish, just tie your "firecrackers" together (6 tubes around one central tube). We used a castoff ribbon from a gift. (I save all of our random ribbons for use in projects.) Then, put your flags in. Adorable, festive and educational! Bang, bang and bang!